Fr Edmund Hogan’s book on one of the most significant early SMA missionaries – Fr Berengario Cermenati – was launched recently in Kabba, which was the Administrative Headquarters of the British Colonial Government in the region where Fr Cermenati ministered. Kabba is also the home of Nigeria’s most recent Cardinal, His Eminence John Onaiyekan. Already there is a street in the town named in his honour. Fr Peter McCawille SMA had arranged the launching but was unable to attend due to health tests in Ireland. 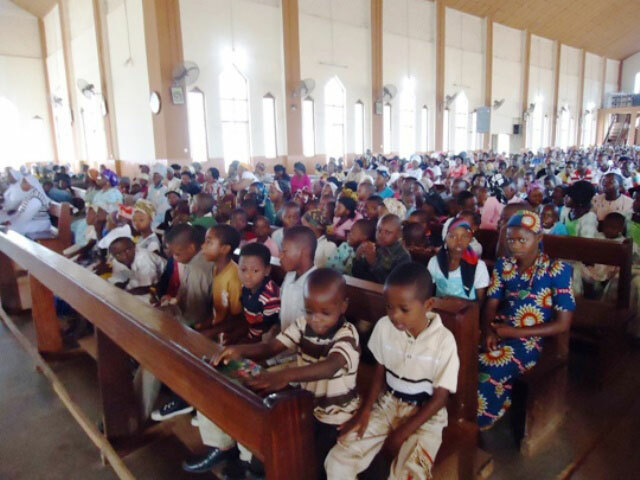 He has since returned to his work with the SMA Family Vocations Movement in Benin City. Despite his absence everything went off smoothly and the event – on Sunday, 27 October – was hosted by Fr Louis Fowoyo, Parish Priest of the Sacred Heart Parish, Kabba. The two Masses, after which the book was launched, were both led by Fr. Paulinus Ogor, a newly-ordained priest for the diocese of Lokoja, who only recently took up his appointment as Assistant Priest. The earliest Catholic missionaries in Kabba were SMA Fathers, led by Fr Berengario Cermenati. 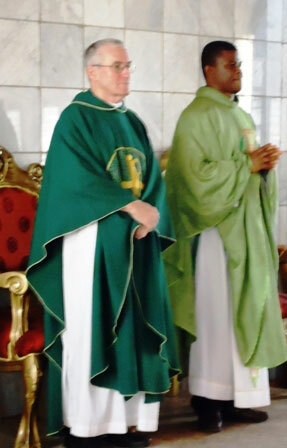 He, along with Fr Carlo Zappa, the Prefect Apostolic of Western Nigeria, were the founders of that mission. Fr Patrick O’Connell was the first of many members of the Irish Province to serve there from the early 1920’s. Others included Walter Keary, James Rafferty, John (Jock) Duffy [born in Scotland], Jack O’Shea, Thomas Murray, Patrick Braniff, Nicholas Clery, Henry Kenny, Edward Coleman and Michael McFadden. For a brief period in the 1950’s Canadian Holy Ghost Fathers were entrusted with the pastoral care of this part of Nigeria. In Kabba they built the magnificent church in which the launch took place. and the Ebira’s young Ruler. The events described occurred in the early decades of the 20th century, at a time when Islam, Christianity and Traditional Religion were locked in deadly combat for the soul of a people. The central characters are joined by an extraordinary cast of Africans and Europeans, driven by the possibilities afforded to them in the melting-pot which was Nigeria at that epoch. The denouement of this ‘fight to the finish’ – which involved victory and defeat – demonstrates that while one of the great riches of the human spirit is its resilience, that capacity is not unlimited. 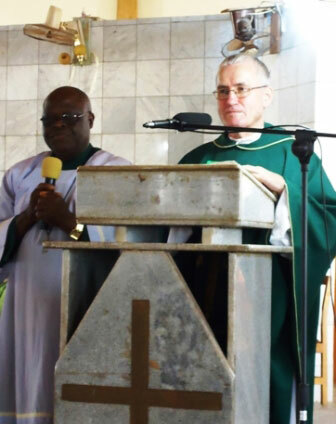 Fr Hogan is pictured with the Church Catechist / Interpreter who translated his words into Yoruba at one of the Masses as that is the first language of many of the congregation present for that Mass. A fascinating story unfolds in a narrative that conveys the experience of being party to an episode in history which resonates today. Other works of Fr Hogan include Catholic Missionaries and Liberia , The Irish Missionary Movement: a historical survey 1830 -1980 .